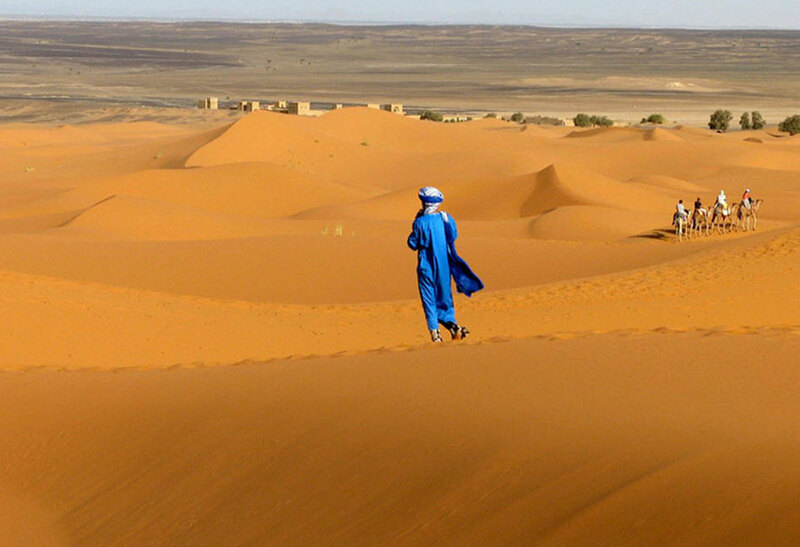 Your 4 days from marrakech to merzouga tour experience involves spending two-out-of-three nights sleeping in a Berber tent in the Erg Chebbi sand dunes. This is a magical experience you’ll never forget. The nomads have many fascinating stories to tell of the desert, as you sit around a campfire enjoying the unbelievable starry jet-black Saharan night sky and listen to the gentle beat of Moroccan drums. Camel trekking will typically take place at sunrise and sunset, so you’ll be spared travelling in the heat of late afternoon. Please note that lunch breaks on this tour are not included in the tour price, so make sure you bring some cash for spending, drinks, tips, and so on. Our English-speaking driver will pick you up from your Marrakesh hotel at around 7 am, in preparation for a 7:20 am departure. 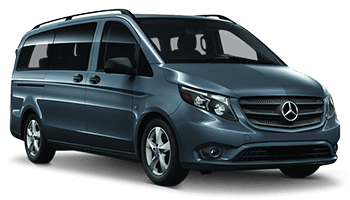 If you’re in a private tour you’ll be travelling in an air-conditioned 4x4 vehicle, and if you’re joining a shared tour you’ll be travelling in a modern air-conditioned minibus. We’ll start by heading to the world-renowned Kasbahs at Ait Ben Haddou, now a UNESCO World Heritage site, then move on to the city of Ouarzazate where you’ll marvel at the “Hollywood” film set locations. From Ouarzazate we’ll travel through the magnificent Draa Valley, and by late afternoon we’ll arrive in Zagora. 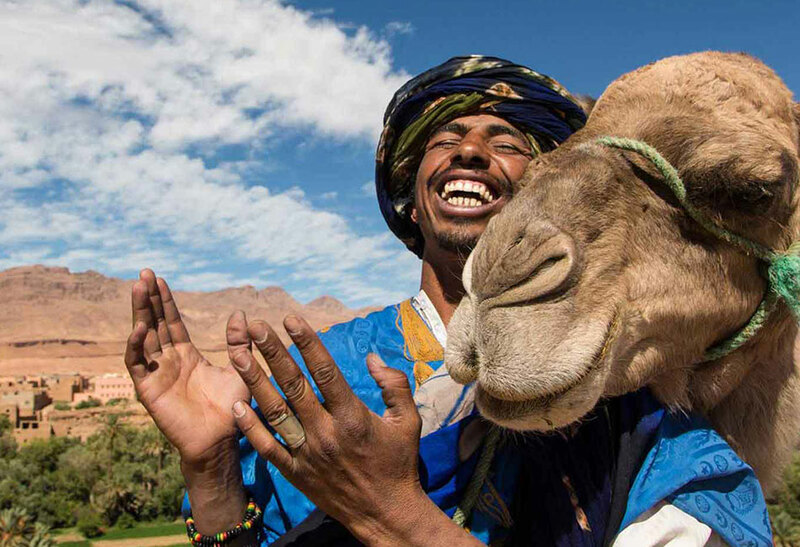 But the fun still hasn’t really started, because now we’ll be taking a 90-minute camel ride to our secluded Berber desert camp where we’ll spend the night. 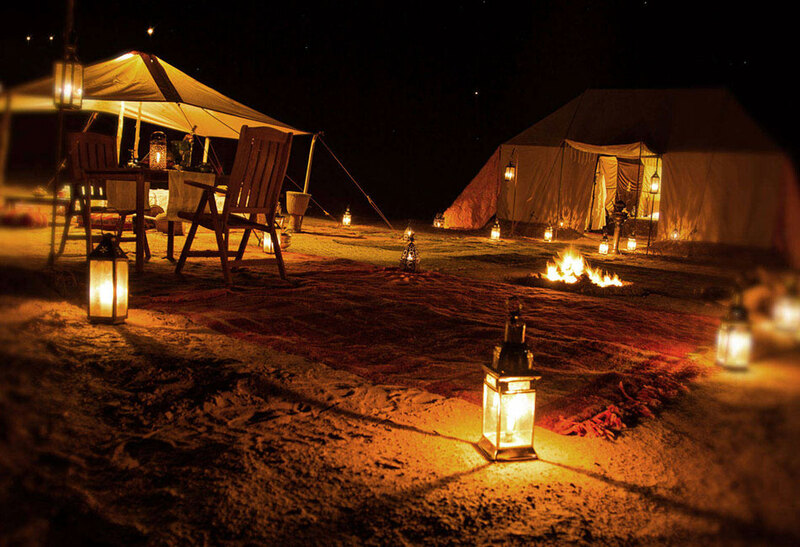 This will be an evening to remember, as we sit around a bonfire enjoying a beautiful Moroccan meal, before retiring for the night to our Berber tent. Perhaps you’ll choose to sleep out under the magnificent starry skies! In the morning you’ll awaken to a traditional nomad breakfast and enjoy an unbelievable desert sunrise. Then, we’re back on our camels for a trek back to Zagora. From Zagora we’ll head back to Ouarzazate, often known as the Gateway to the Desert, where we’ll change vehicles ready for the next exciting leg of our adventure. We’ll enjoy a leisurely lunch in Ourzazate, then proceed on to the beautiful Dades Valley. The photographic opportunities here are endless, with the picturesque winding roads, steep cliffs, and beautiful river deltas. Tonight, we’ll stay in Dade’s Valley in a smart guest house where you’ll enjoy ensuite rooms, a sumptuous evening meal, and a hearty breakfast. Make sure your cameras are charged and ready, because today is the day we’ll be exploring more of Dades Valley, then moving on to the simply stunning Todra Gorge. You’ll be guided around the gorge by a local guide, which is included in your tour price. Lunch can be enjoyed at any of the cafes on the way to Merzouga, which will be our next port of call. 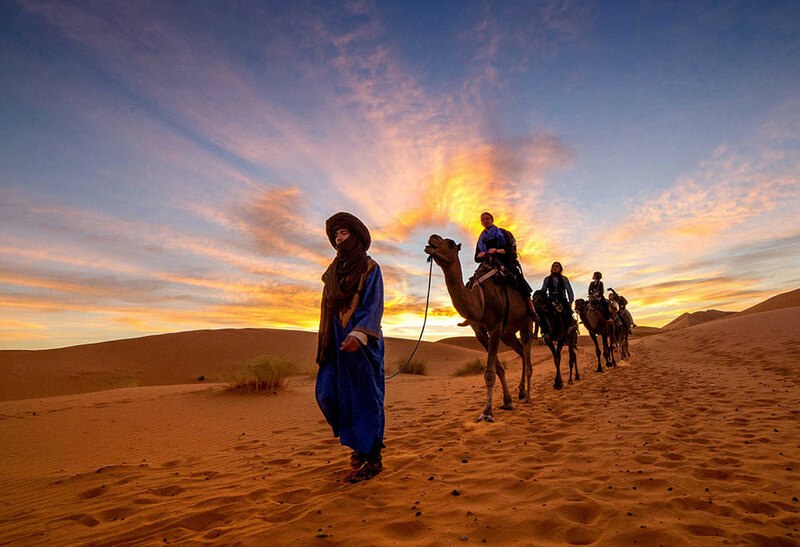 At Merzouga you’ll have another opportunity to experience camel trekking and sleeping under the stars at our secluded Berber camp somewhere in the Erg Chebbi sand dunes. 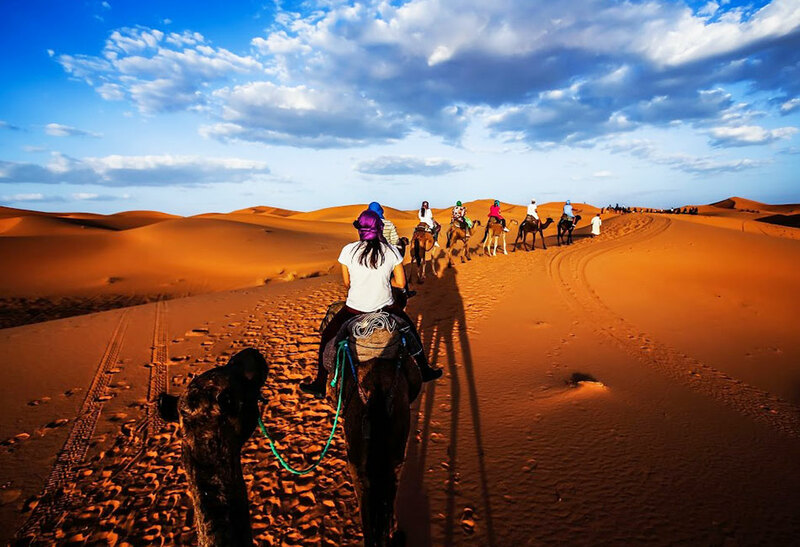 On the outskirts of Merzouga on day three we’ll camel-trek across the Erg Chebbi sand dunes, and it’s here you’ll experience the most unbelievable sunrise and sunset. 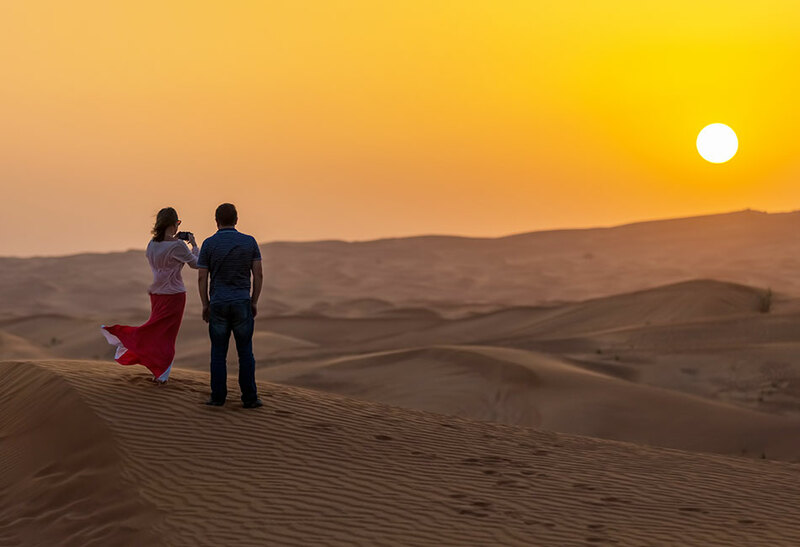 The undulating, windswept sand dunes provide a natural environment for camel caravans, which effortlessly and gracefully negotiate this arid terrain. Tonight, the final night of your Marrakesh to Zagora desert tour, you’ll have another opportunity to enjoy a typical Moroccan meal and the opportunity to sleep either under the stars or in a Berber tent. After a leisurely breakfast at our Berber camp we’ll again mount our camels for the return trip to Merzouga. Today we’ll further explore the Draa Valley, the city of Ouarzazate, and experience travelling through the stunning Atlas Mountains as we head back to Marrakesh. We expect to have you back at your hotel in Marrakesh sometime between 7 pm and 8 pm. We’ll visit the beautiful Todra Gorges and take a walk along the river. 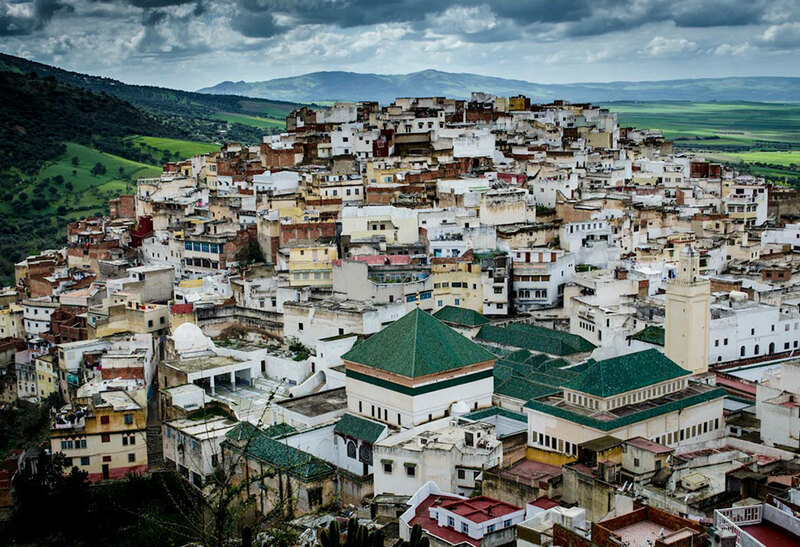 Your tour includes transportation with an English-speaking driver from Merzouga to Marrakesh.